In the Zen tradition there is a wonderful series of 10 pictures, which describe the process of spiritual liberation. The pictures show a man with his bull. The bull escapes and he has to go and search for it. Once he locates it, he has to put a rope around its neck and guide it back home. When he reaches closer to home, he is riding the bull. Then he tethers it. And finally, he goes to the marketplace and celebrates with a bottle of wine. I love this story, for it clearly reveals that the place to celebrate awakened consciousness is in the marketplace. It is here we are tested to see if we are really anchored in our meditation and it is here we can share the perfume of our bliss while engaged in ordinary actions. Go find a horrible woman! 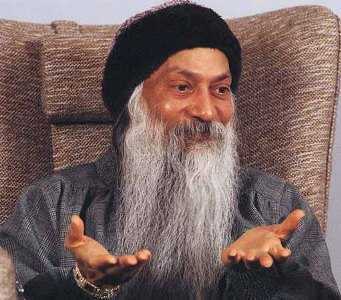 When Osho was in the body, I was completely surrendered to him as a mirror reflecting universal wisdom. As any great master will do, he had his ways of continually throwing his disciples back on themselves, back to our own centre, and back into relationships and work as devices to awaken consciousness. In this milieu, each aspect of life was considered to be a possible portal into deep meditation. Whether it was confrontational relationships, work, movement, sound, stillness or silence, all became the fuel for the fire of meditation to grow. When he left his body and I left the commune to go and live in the normal world, I discovered something, which continues to amaze me. Life has revealed itself to be the Master. If I am alert enough, each nuance of life has a teaching to offer. When I surrender, I can absorb the teaching. We cannot avoid the fact that life offers us myriad challenges. Life tends to move in waves of chaos, order, chaos, order. When we can embrace the chaos and say, “What can I learn from this?” we are suddenly propelled into a higher level of order. I look at life as if I am in the sea, moving with the waves as they come. Each wave is a teaching. It is very helpful to have a relaxed and loving awareness as a general attitude. An ability to be a witness in multiple situations will help us evolve our wisdom. As we become more of a witness, simultaneously, a great sense of humour emerges. We begin to see and understand that life is really a play. In general, people believe that when we grow up, we grow out of being playful like a child. However, when people become wise, they simultaneously become very childlike and playful. 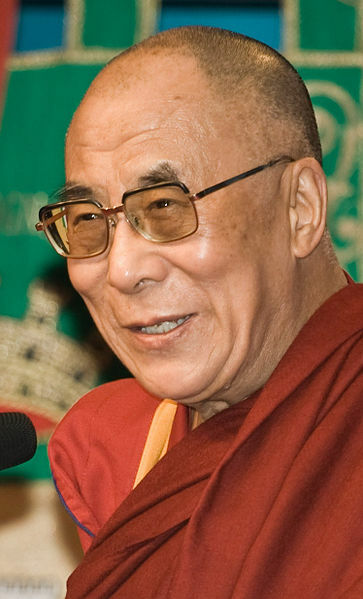 The Dalai Lama (left) has been through so much turbulence in his life, but if you look at his smiling and playful quality of being, you would never be able to guess the trauma he has lived through. This is a good example of someone who has used life itself as an opportunity to be in deep meditation. When I used to clean houses, as I was practising outer cleaning, I was simultaneously practising inner cleaning and purification. When I worked in a public relations office, I used to consider that each person I took care of was the divine guest. When I give sessions, I see the body and soul of the client flowering into ultimate beauty. And when I teach Tantra, I experience the whole collective of humanity rising in love and consciousness. Life is never dull when each relationship and each aspect of work is experienced as a portal into deep meditation. Life is thrilling. Life is the Guru. And grace is available in each moment. Meditation of the Month: Take Life Lightly!